PandaTree,LLC (“PandaTree,” “we,” “us,” “our”) provides its services (described below) to you through its website located at www.pandatree.com (the “Site”) and through its mobile applications and related services (collectively, such services, including any new features and applications, and the Site, the “Service(s)”), subject to the following Terms of Service (as amended from time to time, the “Terms of Service”). For the purposes of these Terms of Service, “you” means a parent or guardian of the student who accesses or uses the Services. If you are a parent, guardian, or other person who enables a child to access the Services, you agree to stand in the shoes of such child for the purposes of making us whole in case of damages or indemnification that could properly lie against a child, if not for his or her age. We reserve the right, at our sole discretion, to change or modify portions of these Terms of Service at any time. If we do this, we will post the changes on this page and will indicate at the top of this page the date these terms were last revised. We will also notify you, either through the Services user interface, in an email notification or through other reasonable means. Any such changes will become effective no earlier than fourteen (14) days after they are posted, except that changes addressing new functions of the Services or changes made for legal reasons will be effective immediately. Your continued use of the Service after the date any such changes become effective constitutes your acceptance of the new Terms of Service. This Terms of Service contains an Arbitration Agreement, which will, with limited exception, require you to submit claims you have against us to binding and final arbitration. Under the Arbitration Agreement, (1) you will only be permitted to pursue claims against PandaTree on an individual basis, not as a plaintiff or class member in any class or representative action or proceeding, and (2) you will only be permitted to seek relief (including monetary, injunctive, and declaratory relief) on an individual basis. Services Description: The Service is designed to provide online foreign language tutoring for children ages 5-15 years old by providing them the opportunity to practice language conversations skills one-on-one with a tutor. During the scheduled session with a tutor of the parent’s choosing, the tutor and student will engage in conversation, and the tutor may share PandaTree proprietary content including photos, text and games to encourage discussion. After their sessions children may return to PandaTree to review what they learned and interact with PandaTree games and other materials. Member Account, Password and Security: You are responsible for maintaining the confidentiality of your password and account, if any, and are fully responsible for any and all activities that occur under your password or account. You agree to (a) immediately notify PandaTree of any unauthorized use of your password or account or any other breach of security, and (b) ensure that you exit from your account at the end of each session when accessing the Service. PandaTree will not be liable for any loss or damage arising from your failure to comply with this Section. PandaTree Tutor Quality Controls: You may select a PandaTree tutor from a variety of available tutors. PandaTree is committed to a selective screening process before hiring a given tutor. Each tutor participates in three to five interview rounds with PandaTree, including online working interviews in the form of practice tutoring sessions with real children, and is evaluated by managers with expertise in the tutor’s language and in children’s education. Despite our vetting process, the final selection of a tutor is ultimately your responsibility; if you are dissatisfied with your choice you may either (i) switch to a different tutor, as permitted through the Service, or (ii) terminate your Services account and, if applicable, seek a refund for the relevant session per the terms below. Regardless of your chosen remedy, if you are dissatisfied with your tutor, we would ask that you contact us via the information listed at the bottom of this Terms of Service, with a brief explanation of your experience. Modifications to Service: PandaTree reserves the right to modify or discontinue, temporarily or permanently, the Service (or any part thereof) with or without notice. You agree that PandaTree will not be liable to you or to any third party for any modification, suspension or discontinuance of the Service. General Practices Regarding Use and Storage: You acknowledge that PandaTree may establish general practices and limits concerning use of the Service, including without limitation the maximum period of time that data or other content will be retained by the Service and the maximum storage space that will be allotted on PandaTree’s servers on your behalf. You agree that PandaTree has no responsibility or liability for the deletion or failure to store any data or other content maintained or uploaded by the Service. You acknowledge that PandaTree reserves the right to terminate accounts that are inactive for an extended period of time. You further acknowledge that PandaTree reserves the right to change these general practices and limits at any time, in its sole discretion, with or without notice. Mobile Services: The Service includes certain services that are available via a mobile device, including (i) the ability to upload content to the Service via a mobile device, (ii) the ability to browse the Service and the Site from a mobile device and (iii) the ability to access certain features through an application downloaded and installed on a mobile device (collectively, the “Mobile Services”). To the extent you access the Service through a mobile device, your wireless service carrier’s standard charges, data rates and other fees may apply. In addition, downloading, installing, or using certain Mobile Services may be prohibited or restricted by your carrier, and not all Mobile Services may work with all carriers or devices. By using the Mobile Services, you agree that we may communicate with you regarding PandaTree and other entities by SMS, MMS, text message or other electronic means to your mobile device and that certain information about your usage of the Mobile Services may be communicated to us. In the event you change or deactivate your mobile telephone number, you agree to promptly update your PandaTree account information to ensure that your messages are not sent to the person that acquires your old number. Recorded Sessions and Feedback: You agree that we may record all or any part of any tutoring session scheduled through the Services (including voice chat communications) for quality control and other purposes (“Session Recordings”). You agree that you are responsible for supervision of the student during all sessions, whether or not recorded, including any and all information shared by the student. Your student should never share any information he or she may be uncomfortable sharing. If we record a tutoring session, we will make that session available for you to view through the Services for up to seven (7) days after such session ends. PandaTree may, but shall have no obligation to store Session Recordings thereafter. We reserve the right to review these Session Recordings for any purpose. PandaTree may use excerpts from Session Recordings for the purpose of training PandaTree tutors. PandaTree will not use any Session Recording information publically that identifies you or the student without your express written permission. Notwithstanding anything to the contrary above, you agree that we own all content associated with Session Recordings (including, but not limited to transcripts and recordings) and all comments that you may provide to us on or through the site, the Services or any other means, such as a part of user satisfaction or other similar surveys (“Feedback”), and that these Terms shall be deemed an irrevocable assignment of all such Session Recordings and Feedback, each portion thereof and all intellectual property rights therein to us. recruit, solicit, or contact in any form tutors for the purpose of employment or contracting for a business not affiliated with us without our advance written permission. Equipment: You shall be responsible for obtaining and maintaining any equipment and ancillary services needed to connect to, access or otherwise use the Services, including, without limitation, modems, hardware, server, webcams, audio capability, operating system, networking, web servers, long distance and local telephone service (collectively, “Equipment”). You shall be responsible for ensuring that such Equipment is compatible with the Services. Fees: To the extent the Service or any portion thereof (including the option to purchase Credits, as defined below) is made available for any fee, you will be required to select a payment plan and provide PandaTree information regarding your credit card or other payment instrument. You represent and warrant to PandaTree that such information is true and that you are authorized to use the payment instrument. You will promptly update your account information with any changes (for example, a change in your billing address or credit card expiration date) that may occur. You agree to pay PandaTree the amount that is specified in the payment plan in accordance with the terms of such plan and this Terms of Service, however, PandaTree offers a 100% Money Back Guarantee. If there was an issue with any session, please email us within 7 days of the session, or before the next session at customercare@pandatree.com. Credit (as defined below) for your session will be returned to your account. If you prefer to receive a refund instead of a Credit, please let us know. See the Cancellations, Rescheduling and Refunds section. We reserve the right to change PandaTree’s prices or session lengths. If PandaTree does change prices or session lengths, PandaTree will provide notice of the change on the Site or in email to you, at PandaTree’s option, at least 30 days before the change is to take effect. Your continued use of the Service after the price change becomes effective constitutes your agreement to pay the changed amount. PandaTree may occasionally offer special pricing promotions (discounts) for which the 30-day notice does not apply. You shall be responsible for all taxes associated with the Services other than U.S. taxes based on PandaTree’s net income. Credits: Parents may make purchase PandaTree session credits in advance of making a booking, in accordance with PandaTree’s then-current credit offerings (“Credits”). When parents book a session with a tutor a credit is used and, except as expressly set forth herein, becomes non-refundable. Credits can only be used to book the type of session for which they were purchased for. For example, two 25-minute credits cannot be used to book 50-minute sessions. Special programs, such as camps may have their own pricing. Credits will be used in the order they were purchased, i.e., the oldest credits will be used up first. 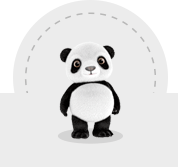 If you cancel a PandaTree session more than 24 hours before the session, the credit for the session will be returned to your account. Sessions canceled within 24 hours of the session will not be credited. If credits are refunded, the dollar amount refunded will reflect the number of sessions used and what the price for that number of sessions would have been at the time the credits were purchased. For example: A parent purchases a bundle of 3 credits for 25-minute sessions for $70. This represents a $5 savings from the regular price of $25 per session. The parent only uses two credits and requests a refund on the third credit. The amount refunded will be $20. That is because if the parent had purchased two credits (and not the three credit bundle) the price would have been $50. Thus $20 ($70-$50) is the amount refunded. PandaTree offers eGift Certificates available for purchases. eGift Certificates will be delivered via email to the parent or guardian email address specified by the purchaser of the eGift Certificate. eGift Certificates expire in 1 year from the date of purchase. The parent/guardian receiving the eGift Certificate must accept PandaTree’s user agreement and create an account to use the eGift Certificate. Any refunds on Gift Certificates will be made to the original purchaser. Cancellations, Rescheduling and Refunds: We will make every effort to start sessions on time, however, if a student is late, we regret we cannot extend, refund or credit sessions in whole or in part. We will issue refunds for tutoring sessions cancelled by you for any reason, provided such cancellation is received through the Services at least 24 hours in advance of your session. All other session cancellations are non-refundable. If a PandaTree tutor is unable to make a scheduled tutoring session, you may (i) select a different tutor available at the same time; (ii) reschedule with your tutor of choice, as available; or (iii) request a refund for that session. If you are dissatisfied with the Service for any reason, you may request a refund by sending an email to customercare@pandatree.com prior to the earlier of (i) seven (7) calendar days after the date of the session with which you were dissatisfied, or (ii) prior to your child’s next scheduled session. Thereafter, your sole remedy shall be termination of your Services account. All refunds will be processed within ten (10) days and payment shall be refunded to your payment instrument on file. Service Content, Software and Trademarks: You acknowledge and agree that the Service may contain content or features (including but not limited to images and photographs) (“Service Content”) that are protected by copyright, patent, trademark, trade secret or other proprietary rights and laws. Except as expressly authorized by PandaTree, you agree not to modify, copy, frame, scrape, rent, lease, loan, sell, distribute or create derivative works based on the Service or the Service Content, in whole or in part, except that the foregoing does not apply to your own User Content (as defined below) that you legally upload to the Service. In connection with your use of the Service you will not engage in or use any data mining, robots, scraping or similar data gathering or extraction methods. If you are blocked by PandaTree from accessing the Service (including by blocking your IP address), you agree not to implement any measures to circumvent such blocking (e.g., by masking your IP address or using a proxy IP address). Any use of the Service or the Service Content other than as specifically authorized herein is strictly prohibited. The technology and software underlying the Service or distributed in connection therewith are the property of PandaTree, our affiliates and our partners (the “Software”). You agree not to copy, modify, create a derivative work of, reverse engineer, reverse assemble or otherwise attempt to discover any source code, sell, assign, sublicense, or otherwise transfer any right in the Software. Any rights not expressly granted herein are reserved by PandaTree. The PandaTree name and logos are trademarks and service marks of PandaTree (collectively the “PandaTree Trademarks”). Other PandaTree, product, and service names and logos used and displayed via the Service may be trademarks or service marks of their respective owners who may or may not endorse or be affiliated with or connected to PandaTree. Nothing in this Terms of Service or the Service should be construed as granting, by implication, estoppel, or otherwise, any license or right to use any of PandaTree Trademarks displayed on the Service, without our prior written permission in each instance. All goodwill generated from the use of PandaTree Trademarks will inure to our exclusive benefit. Third Party Material: Under no circumstances will PandaTree be liable in any way for any content or materials of any third parties (including users), including, but not limited to, for any errors or omissions in any content, or for any loss or damage of any kind incurred as a result of the use of any such content. You acknowledge that PandaTree does not pre-screen content, but that PandaTree and its designees will have the right (but not the obligation) in their sole discretion to refuse or remove any content that is available via the Service. Without limiting the foregoing, PandaTree and its designees will have the right to remove any content that violates these Terms of Service or is deemed by PandaTree, in its sole discretion, to be otherwise objectionable. You agree that you must evaluate, and bear all risks associated with, the use of any content, including any reliance on the accuracy, completeness, or usefulness of such content. User Content Transmitted Through the Service: With respect to the content or other materials you upload through the Service or share with other users or recipients, including, without limitation, Session Recordings and Feedback (collectively, “User Content”), you represent and warrant that you own all right, title and interest in and to such User Content, including, without limitation, all copyrights and rights of publicity contained therein. By uploading any User Content you hereby grant and will grant PandaTree and its affiliated companies a nonexclusive, worldwide, royalty free, fully paid up, transferable, sublicensable, perpetual, irrevocable license to copy, display, upload, perform, distribute, store, modify and otherwise use your User Content in connection with the operation of the Service or the promotion, advertising or marketing thereof, in any form, medium or technology now known or later developed. You acknowledge and agree that any questions, comments, suggestions, ideas, feedback or other information about the Service (“Submissions”), provided by you to PandaTree are non-confidential and PandaTree will be entitled to the unrestricted use and dissemination of these Submissions for any purpose, commercial or otherwise, without acknowledgment or compensation to you. You acknowledge and agree that PandaTree may preserve content and may also disclose content if required to do so by law or in the good faith belief that such preservation or disclosure is reasonably necessary to: (a) comply with legal process, applicable laws or government requests; (b) enforce these Terms of Service; (c) respond to claims that any content violates the rights of third parties; or (d) protect the rights, property, or personal safety of PandaTree, its users and the public. You understand that the technical processing and transmission of the Service, including your content, may involve (a) transmissions over various networks; and (b) changes to conform and adapt to technical requirements of connecting networks or devices. Copyright Complaints: PandaTree respects the intellectual property of others, and we ask our users to do the same. If you believe that your work has been copied in a way that constitutes copyright infringement, or that your intellectual property rights have been otherwise violated, you should notify PandaTree of your infringement claim in accordance with the procedure set forth below. If a counter-notice is received by the Copyright Agent, PandaTree will send a copy of the counter-notice to the original complaining party informing that person that it may replace the removed content or cease disabling it in 10 business days. Unless the copyright owner files an action seeking a court order against the content provider, member or user, the removed content may be replaced, or access to it restored, in 10 to 14 business days or more after receipt of the counter-notice, at our sole discretion. Repeat Infringer Policy: In accordance with the DMCA and other applicable law, PandaTree has adopted a policy of terminating, in appropriate circumstances and at PandaTree's sole discretion, users who are deemed to be repeat infringers. PandaTree may also at its sole discretion limit access to the Service and/or terminate the memberships of any users who infringe any intellectual property rights of others, whether or not there is any repeat infringement. The Service may provide, or third parties may provide, links or other access to other sites and resources on the Internet. PandaTree has no control over such sites and resources and PandaTree is not responsible for and does not endorse such sites and resources. You further acknowledge and agree that PandaTree will not be responsible or liable, directly or indirectly, for any damage or loss caused or alleged to be caused by or in connection with use of or reliance on any content, events, goods or services available on or through any such site or resource. Any dealings you have with third parties found while using the Service are between you and the third party, and you agree that PandaTree is not liable for any loss or claim that you may have against any such third party. You agree to release, indemnify and hold PandaTree and its affiliates and their officers, employees, directors and agent harmless from any from any and all losses, damages, expenses, including reasonable attorneys’ fees, rights, claims, actions of any kind and injury (including death) arising out of or relating to your use of the Service, any User Content, your connection to the Service, your violation of these Terms of Service or your violation of any rights of another. If you are a California resident, you waive California Civil Code Section 1542, which says: “A general release does not extend to claims which the creditor does not know or suspect to exist in his favor at the time of executing the release, which if known by him must have materially affected his settlement with the debtor.” If you are a resident of another jurisdiction, you waive any comparable statute or doctrine. YOUR USE OF THE SERVICE IS AT YOUR SOLE RISK. THE SERVICE IS PROVIDED ON AN “AS IS” AND “AS AVAILABLE” BASIS. PANDATREE EXPRESSLY DISCLAIMS ALL WARRANTIES OF ANY KIND, WHETHER EXPRESS, IMPLIED OR STATUTORY, INCLUDING, BUT NOT LIMITED TO THE IMPLIED WARRANTIES OF MERCHANTABILITY, FITNESS FOR A PARTICULAR PURPOSE, TITLE AND NON-INFRINGEMENT. PANDATREE MAKES NO WARRANTY THAT (I) THE SERVICE WILL MEET YOUR REQUIREMENTS, (II) THE SERVICE WILL BE UNINTERRUPTED, TIMELY, SECURE, OR ERROR-FREE, (III) THE RESULTS THAT MAY BE OBTAINED FROM THE USE OF THE SERVICE WILL BE ACCURATE OR RELIABLE, OR (IV) THE QUALITY OF ANY PRODUCTS, SERVICES, INFORMATION, OR OTHER MATERIAL PURCHASED OR OBTAINED BY YOU THROUGH THE SERVICE WILL MEET YOUR EXPECTATIONS. YOU EXPRESSLY UNDERSTAND AND AGREE THAT PANDATREE WILL NOT BE LIABLE FOR ANY INDIRECT, INCIDENTAL, SPECIAL, CONSEQUENTIAL, EXEMPLARY DAMAGES, OR DAMAGES FOR LOSS OF PROFITS INCLUDING BUT NOT LIMITED TO, DAMAGES FOR LOSS OF GOODWILL, USE, DATA OR OTHER INTANGIBLE LOSSES (EVEN IF PANDATREE HAS BEEN ADVISED OF THE POSSIBILITY OF SUCH DAMAGES), WHETHER BASED ON CONTRACT, TORT, NEGLIGENCE, STRICT LIABILITY OR OTHERWISE, RESULTING FROM: (I) THE USE OR THE INABILITY TO USE THE SERVICE; (II) THE COST OF PROCUREMENT OF SUBSTITUTE GOODS AND SERVICES RESULTING FROM ANY GOODS, DATA, INFORMATION OR SERVICES PURCHASED OR OBTAINED OR MESSAGES RECEIVED OR TRANSACTIONS ENTERED INTO THROUGH OR FROM THE SERVICE; (III) UNAUTHORIZED ACCESS TO OR ALTERATION OF YOUR TRANSMISSIONS OR DATA; (IV) STATEMENTS OR CONDUCT OF ANY THIRD PARTY ON THE SERVICE; OR (V) ANY OTHER MATTER RELATING TO THE SERVICE. IN NO EVENT WILL PANDATREE’S TOTAL LIABILITY TO YOU FOR ALL DAMAGES, LOSSES OR CAUSES OF ACTION EXCEED THE AMOUNT YOU HAVE PAID PANDATREE IN THE LAST SIX (6) MONTHS, OR, IF GREATER, ONE HUNDRED DOLLARS ($100). The terms in the following subsections (a) through (h) in these Terms of Service is the “Arbitration Agreement.” You agree that any and all disputes or claims that have arisen or may arise between you and PandaTree, whether relating to these Terms of Service (including any alleged breach thereof), the Services, any advertising, any aspect of the relationship between us, or otherwise, shall be resolved exclusively through final and binding arbitration, rather than a court in accordance with the terms of this Arbitration Agreement, except that you may assert individual claims in small claims court, if your claims qualify. Further, this Arbitration Agreement does not preclude you from bringing issues to the attention of federal, state, or local agencies, and such agencies can, if the law allows, seek relief against us on your behalf. You agree that, by entering into this Terms of Service, you and PandaTree are each waiving the right to a trial by jury or to participate in a class action. Your rights will be determined by a neutral arbitrator, not a judge or jury. The Federal Arbitration Act governs the interpretation and enforcement of this Arbitration Agreement. YOU AND PANDATREE AGREE THAT EACH OF US MAY BRING CLAIMS AGAINST THE OTHER ONLY ON AN INDIVIDUAL BASIS AND NOT AS A PLAINTIFF OR CLASS MEMBER IN ANY PURPORTED CLASS OR REPRESENTATIVE ACTION OR PROCEEDING. UNLESS BOTH YOU AND PANDATREE AGREE OTHERWISE, THE ARBITRATOR MAY NOT CONSOLIDATE OR JOIN MORE THAN ONE PERSON’S OR PARTY’S CLAIMS AND MAY NOT OTHERWISE PRESIDE OVER ANY FORM OF A CONSOLIDATED, REPRESENTATIVE, OR CLASS PROCEEDING. ALSO, THE ARBITRATOR MAY AWARD RELIEF (INCLUDING MONETARY, INJUNCTIVE, AND DECLARATORY RELIEF) ONLY IN FAVOR OF THE INDIVIDUAL PARTY SEEKING RELIEF AND ONLY TO THE EXTENT NECESSARY TO PROVIDE RELIEF NECESSITATED BY THAT PARTY’S INDIVIDUAL CLAIM(S). PandaTree is always interested in resolving disputes amicably and efficiently, and most customer concerns can be resolved quickly and to the customer’s satisfaction by emailing customer support at customercare@pandatree.com. If such efforts prove unsuccessful, a party who intends to seek arbitration must first send to the other, by certified mail, a written Notice of Dispute (“Notice”). The Notice to PandaTree should be sent to PandaTree LLC, 885 El Camino Real, Suite 13A-234, Palo Alto, CA 94301 (“Notice Address”). The Notice must (a) describe the nature and basis of the claim or dispute and (b) set forth the specific relief sought. If PandaTree and you do not resolve the claim within sixty (60) calendar days after the Notice is received, you or PandaTree may commence an arbitration proceeding. During the arbitration, the amount of any settlement offer made by PandaTree or you shall not be disclosed to the arbitrator until after the arbitrator determines the amount, if any, to which you or PandaTree is entitled. Arbitration will be conducted by a neutral arbitrator in accordance with the American Arbitration Association’s (“AAA”) rules and procedures, including the AAA’s Supplementary Procedures for Consumer-Related Disputes (collectively, the “AAA Rules”), as modified by this Arbitration Agreement. For information on the AAA, please visit its website, http://www.adr.org. Information about the AAA Rules and fees for consumer disputes can be found at the AAA’s consumer arbitration page, http://www.adr.org/consumer_arbitration. If there is any inconsistency between the AAA Rules and this Arbitration Agreement, the terms of this Arbitration Agreement will control unless the arbitrator determines that the application of the inconsistent Arbitration Agreement terms would not result in a fundamentally fair arbitration. The arbitrator must also follow the provisions of these Terms of Service as a court would. All issues are for the arbitrator to decide, including, but not limited to, issues relating to the scope, enforceability, and arbitrability of this Arbitration Agreement. Although arbitration proceedings are usually simpler and more streamlined than trials and other judicial proceedings, the arbitrator can award the same damages and relief on an individual basis that a court can award to an individual under the Terms of Service and applicable law. Decisions by the arbitrator are enforceable in court and may be overturned by a court only for very limited reasons. Unless PandaTree and you agree otherwise, any arbitration hearings will take place in a reasonably convenient location for both parties with due consideration of their ability to travel and other pertinent circumstances. If the parties are unable to agree on a location, the determination shall be made by AAA. If your claim is for $10,000 or less, PandaTree agrees that you may choose whether the arbitration will be conducted solely on the basis of documents submitted to the arbitrator, through a telephonic hearing, or by an in-person hearing as established by the AAA Rules. If your claim exceeds $10,000, the right to a hearing will be determined by the AAA Rules. Regardless of the manner in which the arbitration is conducted, the arbitrator shall issue a reasoned written decision sufficient to explain the essential findings and conclusions on which the award is based. Payment of all filing, administration, and arbitrator fees (collectively, the “Arbitration Fees”) will be governed by the AAA Rules, unless otherwise provided in this Arbitration Agreement. If the value of the relief sought is $75,000 or less, at your request, PandaTree will pay all Arbitration Fees. If the value of relief sought is more than $75,000 and you are able to demonstrate to the arbitrator that you are economically unable to pay your portion of the Arbitration Fees or if the arbitrator otherwise determines for any reason that you should not be required to pay your portion of the Arbitration Fees, PandaTree will pay your portion of such fees. In addition, if you demonstrate to the arbitrator that the costs of arbitration will be prohibitive as compared to the costs of litigation, PandaTree will pay as much of the Arbitration Fees as the arbitrator deems necessary to prevent the arbitration from being cost-prohibitive. Finally, if the value of the relief sought is $75,000 or less, PandaTree will pay reasonable attorneys’ fees should you prevail. PandaTree will not seek attorneys’ fees from you. But, if you initiate an arbitration in which you seek more than $75,000 in relief, the payment of attorneys’ fees will be governed by the AAA Rules. If a court decides that any term or provision of this Arbitration Agreement other than subsection (b) above is invalid or unenforceable, the parties agree to replace such term or provision with a term or provision that is valid and enforceable and that comes closest to expressing the intention of the invalid or unenforceable term or provision, and this Arbitration Agreement shall be enforceable as so modified. If a court decides that any of the provisions of subsection (b) is invalid or unenforceable, then the entirety of this Arbitration Agreement shall be null and void. The remainder of the Terms of Service will continue to apply. Notwithstanding any provision in this Terms of Service to the contrary, PandaTree agrees that if it makes any future change to this Arbitration Agreement (other than a change to the Notice Address) while you are a user of the Services, you may reject any such change by sending PandaTree written notice within thirty (30) calendar days of the change to the Notice Address provided above. By rejecting any future change, you are agreeing that you will arbitrate any dispute between us in accordance with the language of this Arbitration Agreement. At PandaTree’s or your election, all disputes, claims, or controversies arising out of or relating to the Terms of Service or the Service that are not resolved by mutual agreement may be resolved by binding arbitration to be conducted before JAMS, or its successor. Unless otherwise agreed by the parties, arbitration will be held in San Francisco, California before a single arbitrator mutually agreed upon by the parties, or if the parties cannot mutually agree, a single arbitrator appointed by JAMS, and will be conducted in accordance with the rules and regulations promulgated by JAMS unless specifically modified in the Terms of Service. The arbitration must commence within forty-five (45) days of the date on which a written demand for arbitration is filed by either party. The arbitrator’s decision and award will be made and delivered within sixty (60) days of the conclusion of the arbitration and within six (6) months of the selection of the arbitrator. The arbitrator will not have the power to award damages in excess of the limitation on actual compensatory, direct damages set forth in the Terms of Service and may not multiply actual damages or award punitive damages or any other damages that are specifically excluded under the Terms of Service, and each party hereby irrevocably waives any claim to such damages. The arbitrator may, in his or her discretion, assess costs and expenses (including the reasonable legal fees and expenses of the prevailing part) against any party to a proceeding. Any party refusing to comply with an order of the arbitrators will be liable for costs and expenses, including attorneys’ fees, incurred by the other party in enforcing the award. Notwithstanding the foregoing, in the case of temporary or preliminary injunctive relief, any party may proceed in court without prior arbitration for the purpose of avoiding immediate and irreparable harm. The provisions of this arbitration section will be enforceable in any court of competent jurisdiction. YOU AND PANDATREE AGREE THAT EACH MAY BRING CLAIMS AGAINST THE OTHER ONLY IN YOUR OR ITS INDIVIDUAL CAPACITY, AND NOT AS A PLAINTIFF OR CLASS MEMBER IN ANY PURPORTED CLASS OR REPRESENTATIVE PROCEEDING. Further, unless both you and Company agree otherwise in writing, the arbitrator may not consolidate more than one person’s claims, and may not otherwise preside over any form of a representative or class proceeding. If this specific provision is found to be unenforceable, then the entirety of this arbitration provision shall be null and void. Notwithstanding the provisions of the introductory section above, if PandaTree changes this ‘Arbitration’ section after the date you first accepted these Terms of Service (or accepted any subsequent changes to these Terms of Service ), you may reject any such change by sending us written notice within 30 days of the date such change became effective, as indicated in the “Date of Last Revision” date above or in the date of PandaTree’s email to you notifying you of such change. By rejecting any change, you are agreeing that you will arbitrate any dispute between you and PandaTree in accordance with the provisions of this section as of the date you first accepted these Terms of Service (or accepted any subsequent changes to these Terms of Service). You agree that PandaTree, in its sole discretion, may suspend or terminate your account (or any part thereof) or use of the Service and remove and discard any content within the Service, for any reason, including, without limitation, for lack of use or if PandaTree believes that you have violated or acted inconsistently with the letter or spirit of these Terms of Service. Any suspected fraudulent, abusive or illegal activity that may be grounds for termination of your use of Service, may be referred to appropriate law enforcement authorities. PandaTree may also in its sole discretion and at any time discontinue providing the Service, or any part thereof, with or without notice. You agree that any termination of your access to the Service under any provision of this Terms of Service may be effected without prior notice, and acknowledge and agree that PandaTree may immediately deactivate or delete your account and all related information and files in your account and/or bar any further access to such files or the Service. Further, you agree that PandaTree will not be liable to you or any third party for any termination of your access to the Service. You agree that you are solely responsible for your interactions with any other user in connection with the Service and PandaTree will have no liability or responsibility with respect thereto. PandaTree reserves the right, but has no obligation, to become involved in any way with disputes between you and any other user of the Service. These Terms of Service constitute the entire agreement between you and PandaTree and govern your use of the Service, superseding any prior agreements between you and PandaTree with respect to the Service. You also may be subject to additional terms and conditions that may apply when you use affiliate or third party services, third party content or third party software. These Terms of Service will be governed by the laws of the State of California without regard to its conflict of law provisions. With respect to any disputes or claims not subject to arbitration, as set forth above, you and PandaTree agree to submit to the personal and exclusive jurisdiction of the state and federal courts located within San Francisco County, California. The failure of PandaTree to exercise or enforce any right or provision of these Terms of Service will not constitute a waiver of such right or provision. If any provision of these Terms of Service is found by a court of competent jurisdiction to be invalid, the parties nevertheless agree that the court should endeavor to give effect to the parties’ intentions as reflected in the provision, and the other provisions of these Terms of Service remain in full force and effect. You agree that regardless of any statute or law to the contrary, any claim or cause of action arising out of or related to use of the Service or these Terms of Service must be filed within one (1) year after such claim or cause of action arose or be forever barred. A printed version of this agreement and of any notice given in electronic form will be admissible in judicial or administrative proceedings based upon or relating to this agreement to the same extent and subject to the same conditions as other business documents and records originally generated and maintained in printed form. You may not assign this Terms of Service without the prior written consent of PandaTree, but PandaTree may assign or transfer this Terms of Service, in whole or in part, without restriction. The section titles in these Terms of Service are for convenience only and have no legal or contractual effect. Notices to you may be made via either email or regular mail. The Service may also provide notices to you of changes to these Terms of Service or other matters by displaying notices or links to notices generally on the Service. Please contact us at customercare@pandatree.com to report any violations of these Terms of Service or to pose any questions regarding this Terms of Service or the Service. let us know within 7 days for a full refund.